Marvel and Krysten Ritter fans alike are celebrating today’s announcement regarding the exciting new show, Jessica Jones, the second in Marvel’s Netflix series, following this year’s Daredevil, and preceding Marvel’s Luke Cage, Iron Fist, and The Defenders. Based on the life of one of Marvel’s most popular female comic characters, this 13 episode series will follow Jessica Jones as she struggles to reconstruct her life after a tumultuous stint as a superhero. But, if you’re familiar with her story, you know that things don’t quite calm down for Jessica, as she then opts for life as a detective and seeks out extraordinary cases and criminals. 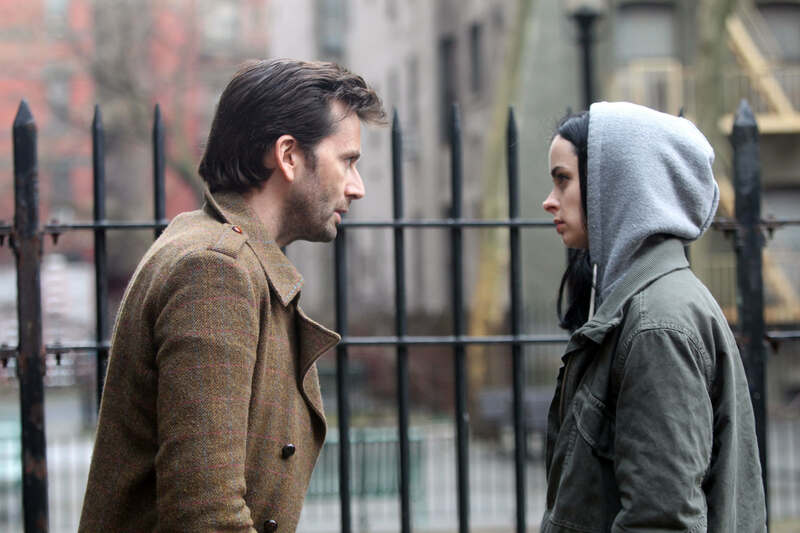 The show features several familiar faces and characters, including David Tennant as Kilgrave, Mike Colter as Luke Cage, and Rachael Taylor as Trish Walker. All 13 episodes premiere on Netflix on November 20, 2015. Get excited! A new, fantastic lady-driven comic series is just what The Doctor ordered. And yes, that was definitely a reference to David Tennant. Previous Previous post: Visit Our Store!